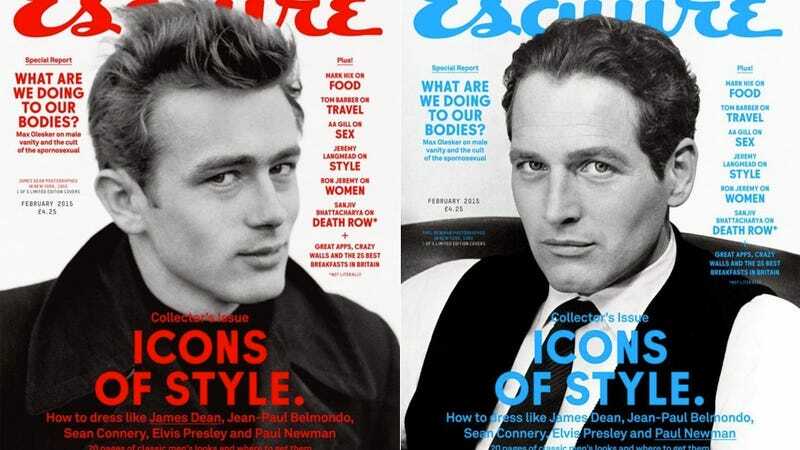 Esquire UK just released their special Dead Dudes Who Can Get It "Icons of Style" issue, featuring the beautiful visages of Paul Newman, James Dean, Jean-Paul Belmondo and Elvis. Being the horny thirst witches that we are, the covers got us thinking—what dead guys would we take to the bone zone, assuming, OF COURSE, that we could bring them back from the dead and experience them at their prime? Here, from the sad perverts of Jezebel dot com, are our choices. Nick Denton, please fire all these freaks. Images via Esquire, Wikipedia, the magic of Cinema.